There’s nothing quite like a family get together, and there’s nothing like trying to organise a family photo. Believe me, my extended family has over 60 people in it, and it gets harder every time! 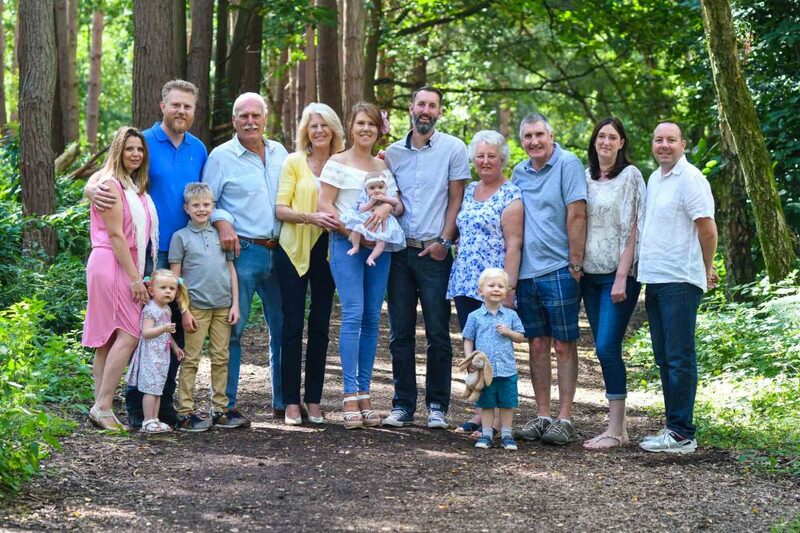 It’s always a fun challenge when I’m asked to photograph multi-generational family photos, so here’s a few hints and tips to help you plan your family photo shoot. My number one tip (There’s plenty more) is to make sure you colour coordinate (compliment each other and your environment, don’t be identical). Once that’s done I can work my magic and show off your family looking their best. The alternative is me having to worry about clashing colours and mismatched outfits that draw more attention to themselves over my subjects. Below are just a few of the thousands of photos I’ve taken over the last year, showing some of the better coordinated families I’ve photographed over the year. 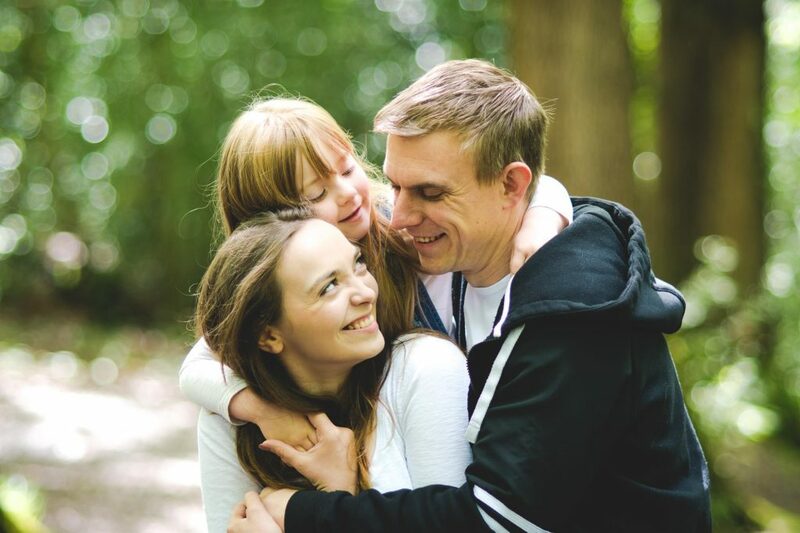 So when planning your family photo shoot, like these families, take your time. Think about and plan what will work best for you, and then work around that theme. 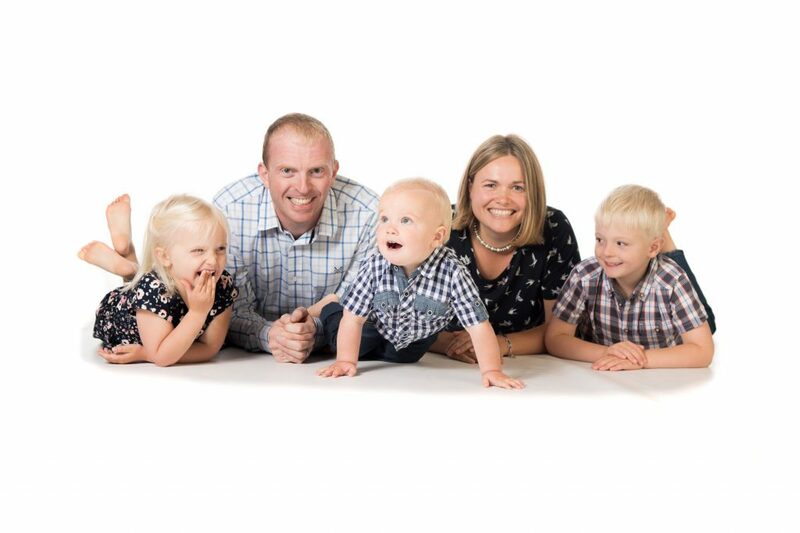 For example, the family below have chosen pastel colours as their theme, everyone got to choose their own colour so we have a collection of different colours, and bar one exception, everyone works well together. 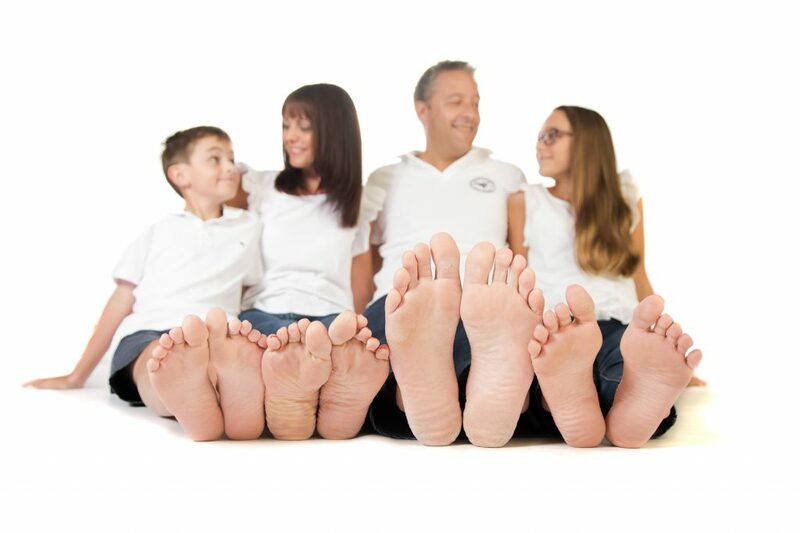 This lovely family took one of my studio portrait photography tips “If in doubt a white top and blue jeans works well for almost everyone” to heart and came dressed to match. And apart from the logo on the dad’s t-shirt (which got airbrushed in the more formal photos) they work perfectly together. I don’t usually encourage people to wear chequered shirts, mostly because you guarantee that someone in your family won’t want to wear it, but if everyone is up for it…then why not! I also love the attention to detail that the mum in this family photo gave to making sure she and her daughter’s outfits worked well together for this gorgeous family portrait. The following family actually agreed to re-arrange and re-locate a shoot, as when I arrived at our designated location, their garden at home, the heavens opened. 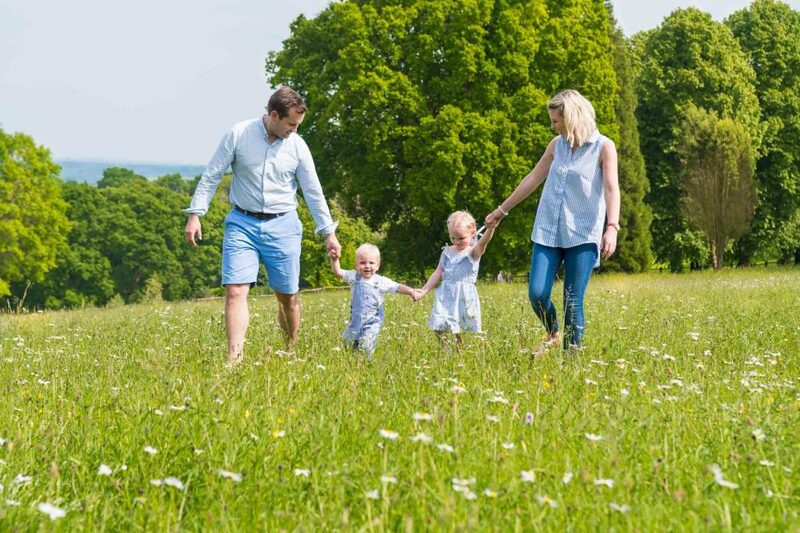 They had originally asked for the shoot to take place at home so the kids could relax, but we agreed to relocate when we discussed that the outfits they’d chosen (which are perfectly gorgeous) were much more suited to an open and bright field, by comparison with the heavily shaded garden.